Build your own city as mayor! 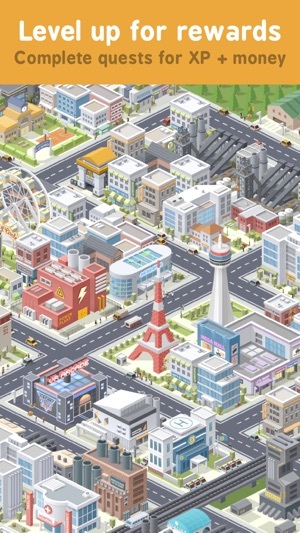 As far as city building apps go, this one is the most immersive, breezy, and most worth it. 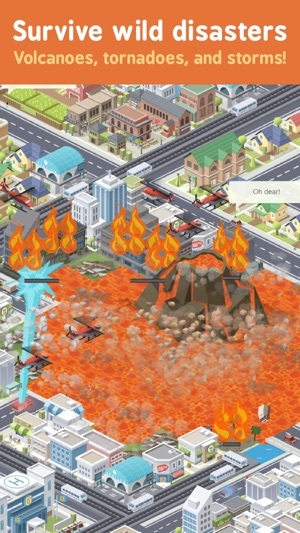 It makes so much more sense to just offer a game for a few dollars that moves quickly and offers challenges (crime, city management, natural disasters). I would love to see some more types of trees (specifically palm trees/ cacti that you can build to improve environment), and just more building options (maybe themes that are unlocked by certain monuments?) Ex: If you unlock the pagoda, and build it, it would be awesome if it also unlocked a new theme of buildings (and trees, parks, etc.) (in a different tab so that you can select between different themes for different zones in the same city). It would also make it more appealing to build multiple cities with their own landscape (like a whole city in the desert; something you can’t rlly do now bc all the houses have grass). Maybe add more levels to unlock these theme packages, or even if you have to do in app purchases, for an app this great. I really really appreciate the ease of building “zones” rather than having to wait hours, days, or weeks for something to get built, and I feel like having themes would be a great way to offer options without there being too many randomizations on one type/size building. Also I love Sandbox mode, great for if you want to just mess around and see what works well. Great app. 10/10, have already recommended to friends. 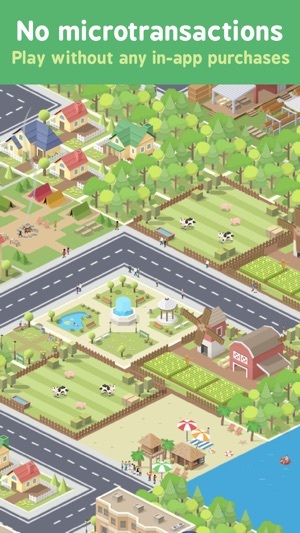 This is what SimCity should have been. Fantastic city builder good for a few minutes or a few hours. I like the leveling system which keeps you from getting ahead of yourself and gives you specific goals to work toward. And _NO_ IAP! Thank you so much for an honest, premium game! Lots of little touches to keep it from being a mere clone with a quirky sense of humor. There’s even a sandbox mode. Hard to believe this game comes from a one-man studio. This dev has been actively engaged with his user base, so I feel certain these very minor bumps will get ironed out. Don’t let it worry you — this game is worth way more than the asking price. 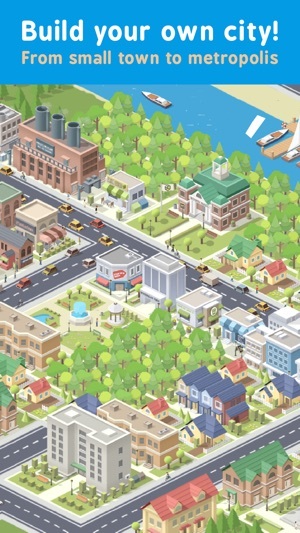 If you like city builders (and old school SimCity in particular) then you need to own this game. This game is super fun, it’s the best city builder out there. The only problem is that I feel like there should be more assets, like more power plant options, more special buildings, and just alternate forms of transportation. An underground subway would be awesome. Another thing is that the game starts to run slow really quickly, it would be nice if it could be more optimized, this is coming from an iPhone X user, so hardware shouldn’t be the issue (Although I noticed that once my phone heated up the game played much worse, and when I played the same, very populated city later, once my phone cooled down, performance was back to normal, I think the X might just thermal throttle). The first problem I noticed was that even with the textures set to ultra things still looked fuzzy and blurry, especially the pictures of the people when they talk for a mission. Other than more unique game elements, a need for better optimization, and blurry textures this game is fantastic and you should definitely buy it. It’s my all time favorite iOS game even given the fact that it’s 5$ and there are a few aspects which can be improved upon.